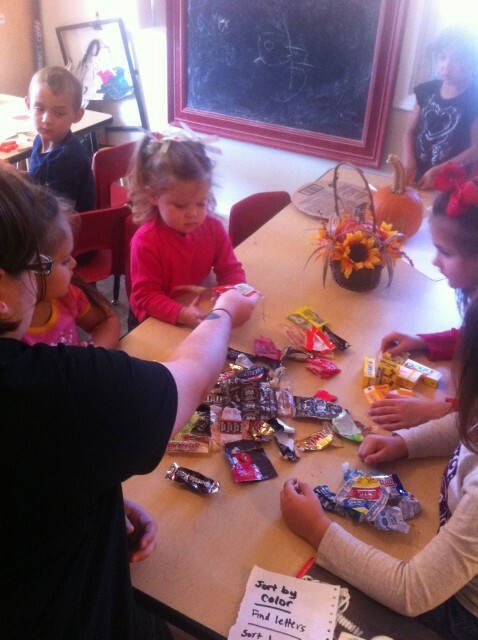 Today we had fun with candy wrappers. During small group we sorted them by color. 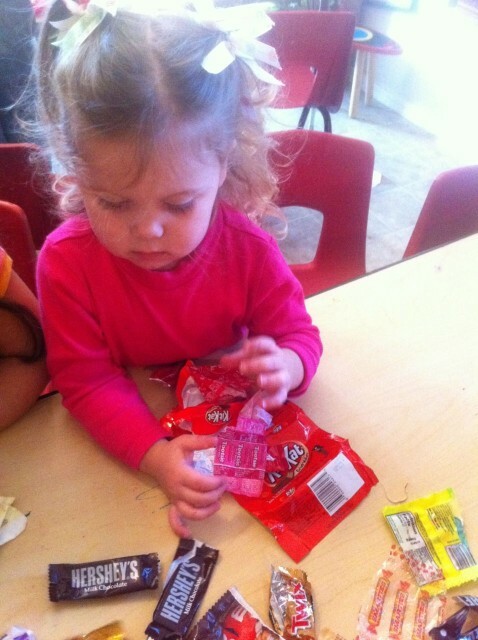 We picked out what letters we knew on our candy wrappers and we counted them. After all that fun we made a book called ” Our Favorite Candy” . Making books is a great literacy tool for kids. They begin to realize that letters put together make words. 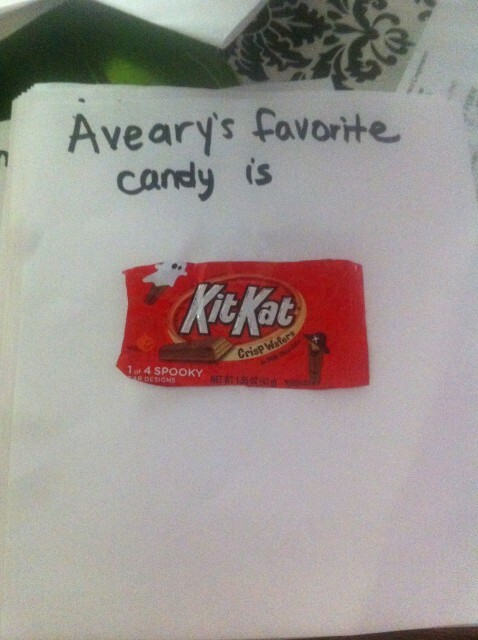 Each page says the same thing ( Aveary’s favorite candy is…. Malachy’s favorite candy is… ) This makes the text predictable so they can feel success in reading words and environmental print.